Networked multispectral thermal imaging camera ASTROHN-384PM is designed for registering objects’ (humans, equipment) thermal emission without the supplemental illumination within two electromagnetic radiation ranges: visible and thermal imaging. Two surveillance channels provide full-time and all-weather surveillance. Device layout inside the rotating body with the precise positioning system increases surveillance field of view. 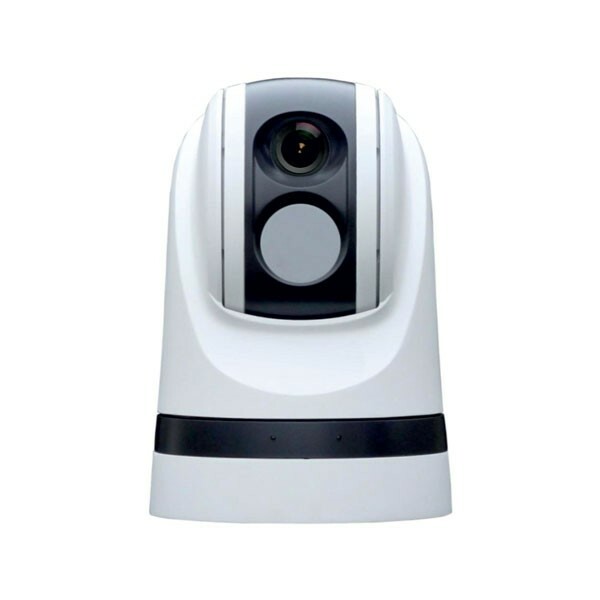 Our experts recommend installing rotating cameras along with fixed cameras, which are guarantee constant, independent of maintenance crew, surveillance over the vital areas and perimeters. Multispectral cameras have sealed housing (shutoff classification – IP67) with a germanium entrance window. Rotation angle – 360 degrees. Leaning and rotating of both channels is simultaneous. Cameras have built-in surge overvoltage protection and a creepage switch designed for Russian power lines. Image output is implemented by Ethernet in H.264, MJPEG formats.